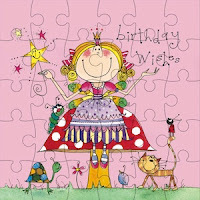 At some time or another we all have the need to buy a birthday card for a little boy or a little girl. 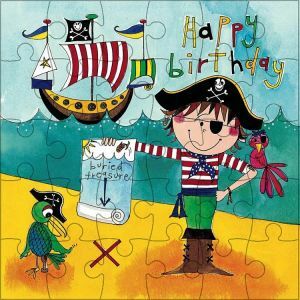 We already have a range of retro style birthday cards with various pictures on the front but we have added a new range of beautifully coloured Birthday ' Jigsaw Cards ' by Rachel Ellen Designs. These front of each of these cards has been cleverly designed as a Jigsaw so not only is a birthday card, but after opening it can then be broken into pieces and then becomes a jigsaw puzzle. At the moment we have five different versions that we keep. For the girls we have the delightful Fairy Birthday Card and the Princess Birthday Card and the boys will be sure to enjoy the Pirate Birthday Card or the Football Birthday Card. 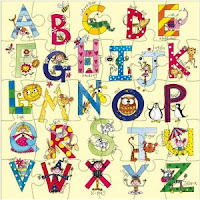 We also have an Alphabet Jigsaw Card which has been designed to be suitable for any occasion with letters of the alphabet and a comical picture for each letter. 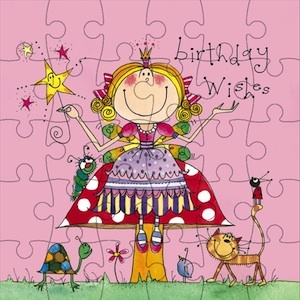 I am sure my grandson and grand daughter would love to receive one of these cards but as their birthdays aren't until December 24th and December 28th they have a long time to wait..